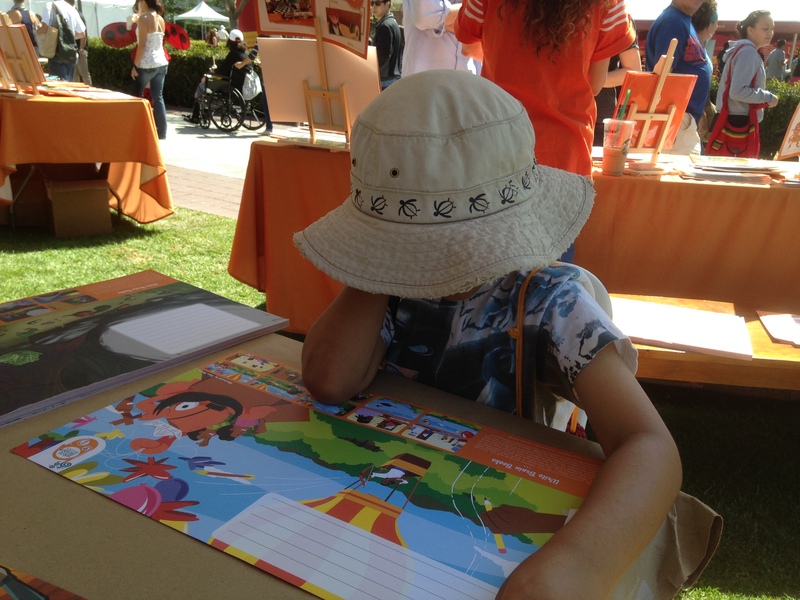 Every year we venture off to explore the multitude of books and literary culture at the Festival of Books, and we come home inspired by the stories of Jedis, Batman, Wonder Woman, Frozen Princesses, and regular toddlers and zoo animals out there to save the world. It’s a great trip, but also a marathon of events for parents, which can definitely wear you out by noon. 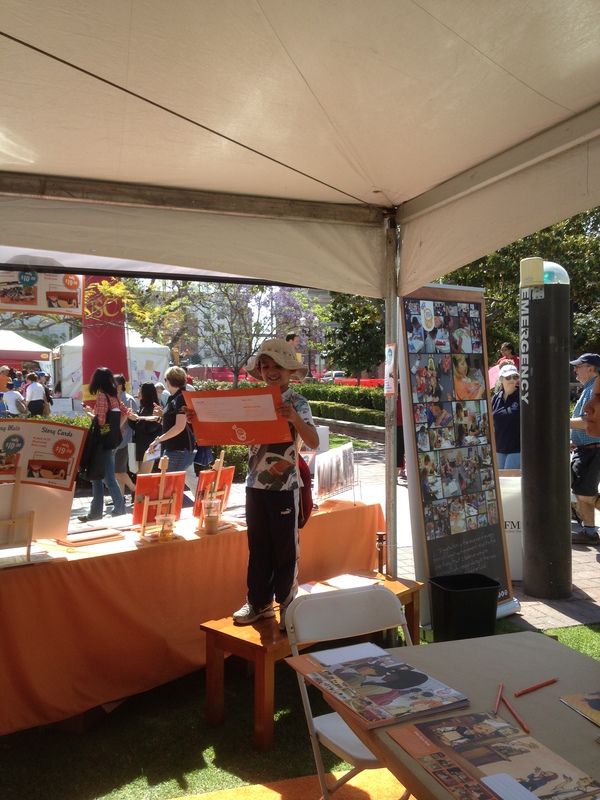 Everything that is fun for kids and has a massive crowd tends to wear me out. And if meltdowns happen the adventure proves to be even more challenging. Every year I wish for no meltdowns and I come prepared with Go-Gurt … you know one for snack time and lunch, and plenty of Ritz crackers, sandwiches, granola bars, pretzels, cheese sticks, and juice boxes. But for some reason some inciting incident happens and it burns somebody out. However I’m happy to report that this weekend was meltdown free! Oh! For the love of books! Having a smooth day felt pretty great. I felt like a successful parent. We scoped out the scene and the kids took the lead. 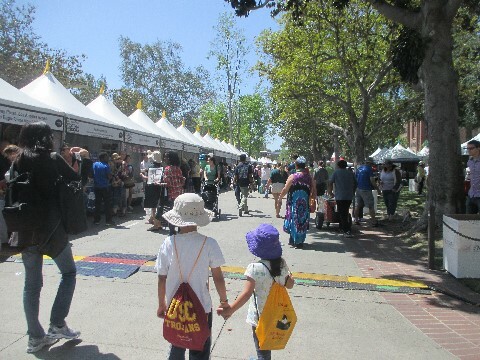 They scouted for the children book tents and found them right away. 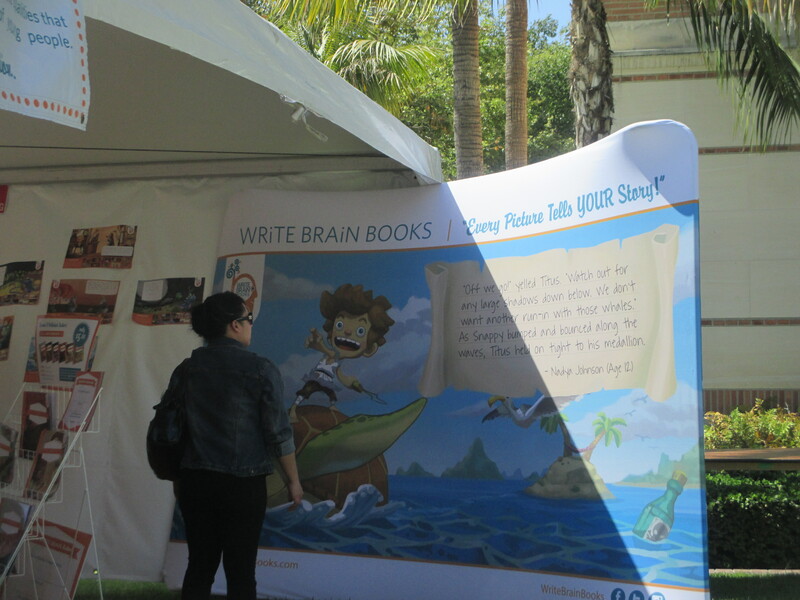 As we walked passed a few tents we noticed the WriteBrain tents, where storytelling is born. My son found his creative side. After writing his story, he was called on to read his masterpiece. I loved the ending when the evil jellyfish drowned. My daughter’s story involved a SuperGirl who saved the day from a bully who threw paper airplanes on the school bus. Then we headed off to the dreamer section where my kids decided to write down their favorite travel destination, my daughter chose the moon. 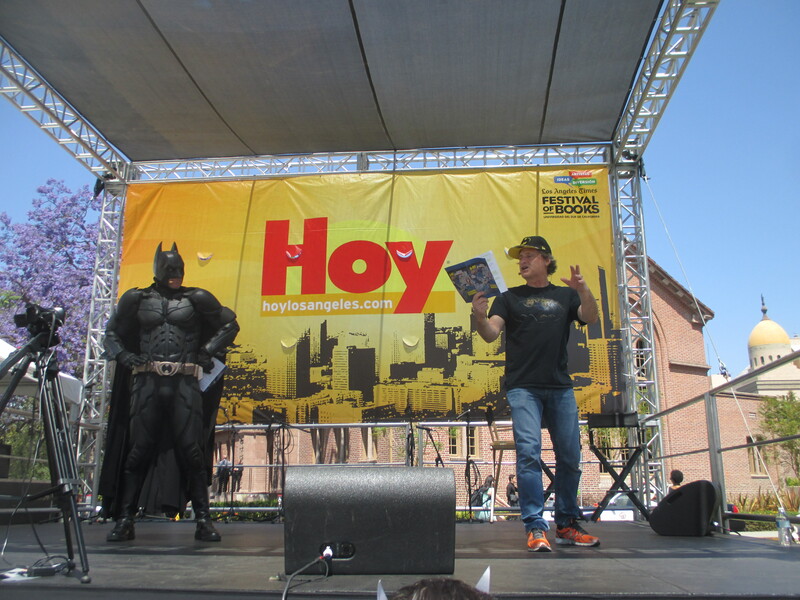 We then headed to the main event, where Batman read Skyscraper Showdown. 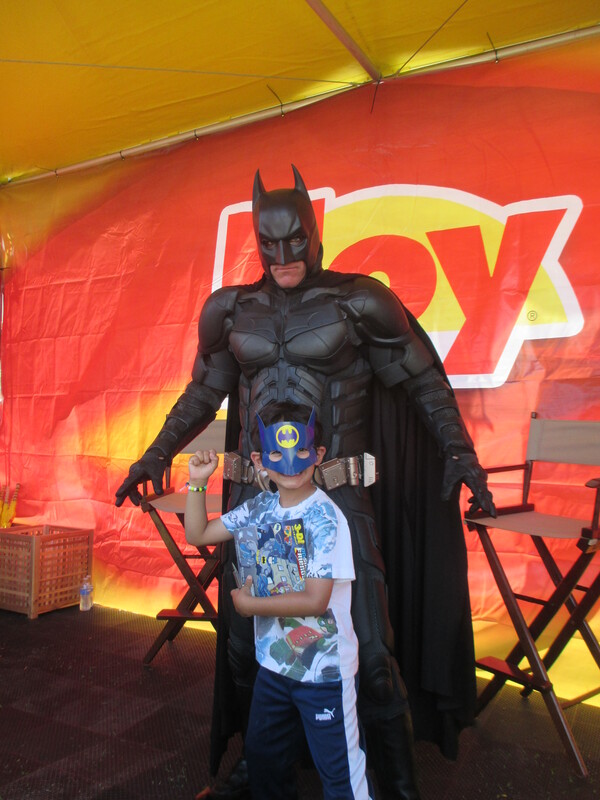 At the end he was able to meet the author and practice his best Justice League pose for the picture. 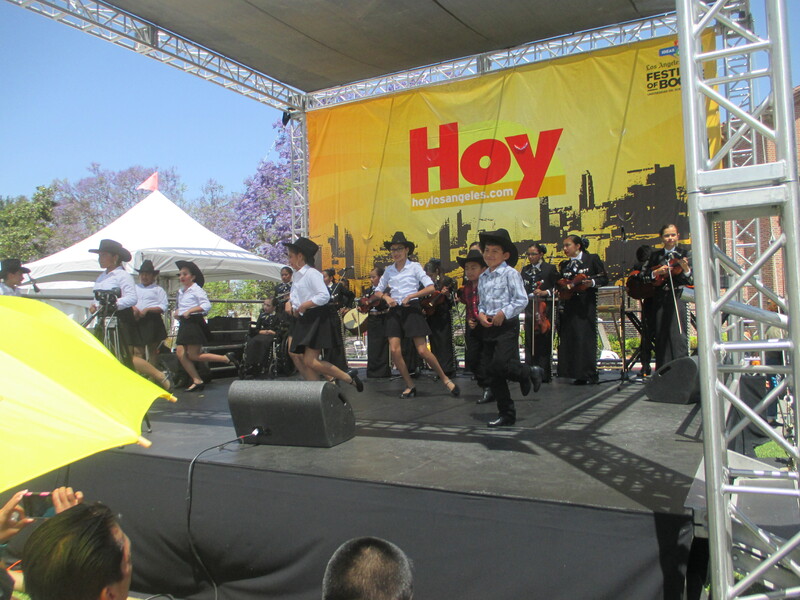 While waiting for the next reading, we were treated to some awesome Ballet Folklorico dance moves. I was inspired to let me inner La Chona out. After all the Batman action and dancing, we raced back to the children’s area to see if we could still catch the person responsible for one of my son’s favorite series…Captain Underpants. 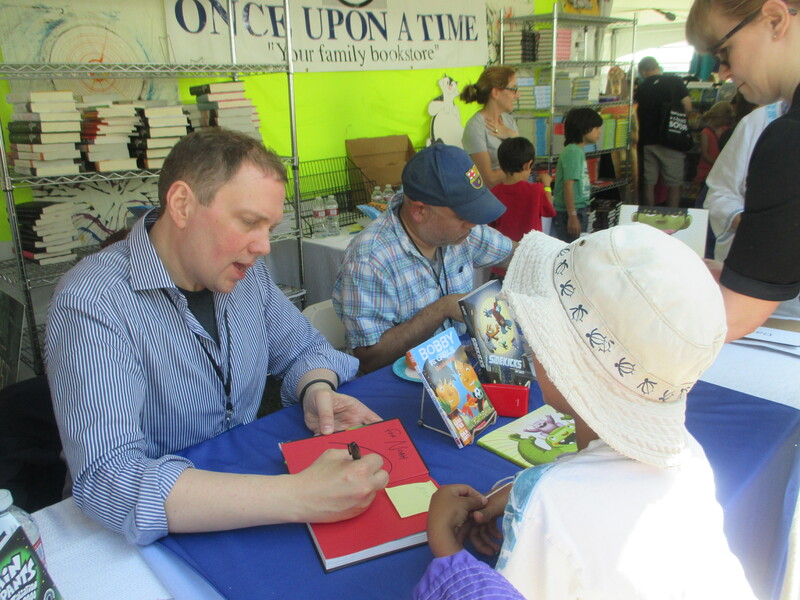 It was the longest line ever, but it was worth the wait as Dav Pilkey signed and created a sketch for my son’s book. At the end of the day we bought some exciting books and picked up some free swag, and I’ve got to say out of all the highlights of the day, getting a bag with this written on it was high on the list. I was reminded to be better. Hanging out with books all day will do that to you. A very cool outing, for sure! Love the photos of your kids. They’re growing up! There is a book festival in Brooklyn every September. It’s a tiring, but marvelous day. Hope you enjoy all the books you picked up. 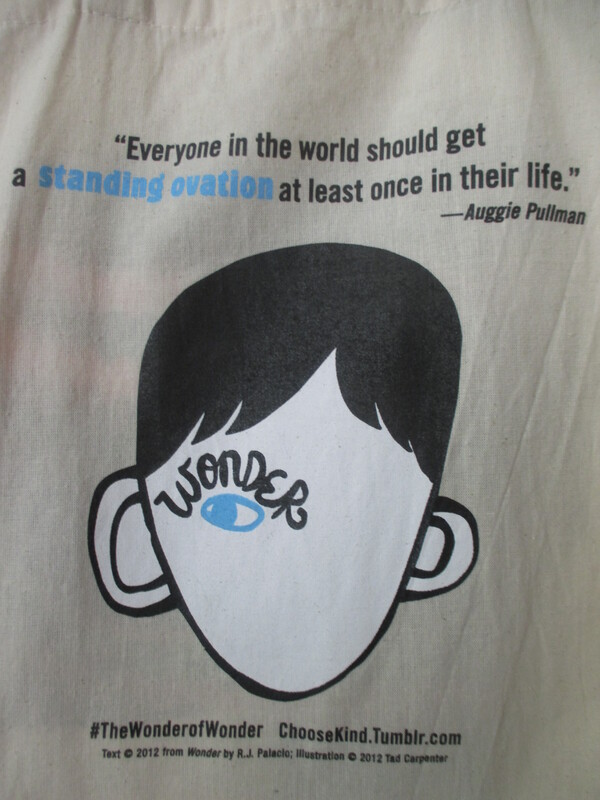 Wonder was one of my favorites last year.